the last geek bus home: Let's Celebrate, Guildies! Awards, Comics and SEASON 4!!! Let's Celebrate, Guildies! Awards, Comics and SEASON 4!!! Let's FIGHT! For our RIGHT! 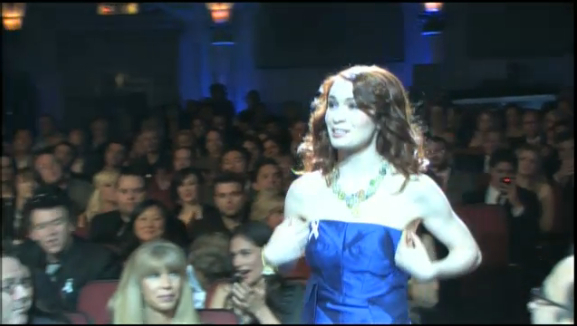 Felicia Day looks radiant as ever on the way to receive her award. If a little nervous. But who wouldn't be? 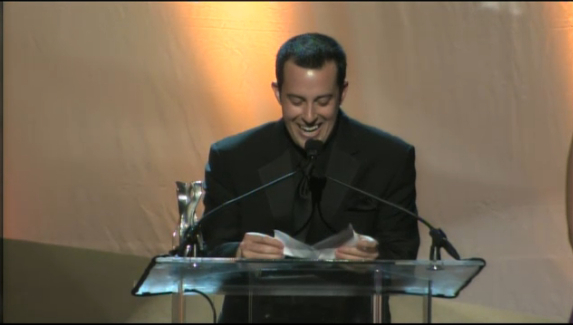 Sean Becker receives his Best Directing award and doesn't tell any of the jokes he had written down. 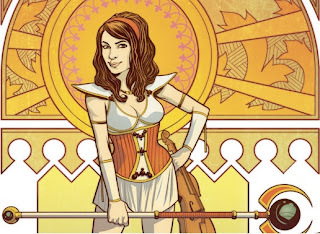 There is an Exclusive Preview of The Guild #2 comic online at comicsalliance.com and it looks AWESOME! One of the preview pictures from comicsalliance.com of The Guild #2 - more on the site! Sean Becker and Jeff Lewis were on the Film Method Podcast last night and Sean joined in the fun on the WatchTheGuild Forums afterwards talking to the Guildies. And.....SEASON 4 IS GO! I REPEAT: SEASON 4 IS GO!!!!! Even as you read this pre-production has started! Interview with Felicia Day at the Streamys from docparadox on Vimeo. It's a great time to be a Guildie so let's be out and proud! Hope to see you on The Guild forums soon! I think your are the fastest blogger of all times. :) well - I have good sources like Dani!